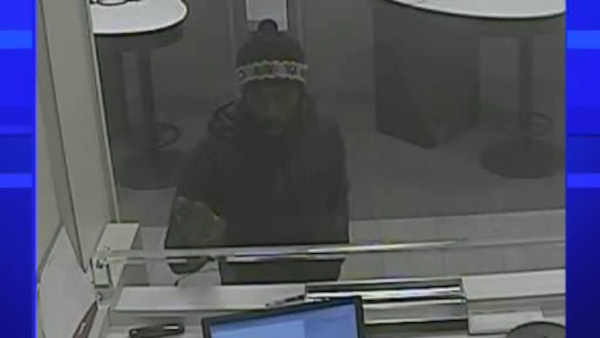 MIDTOWN MANHATTAN (WABC) -- Police are searching for a robber who struck at a bank in Midtown Manhattan. According to investigators, the suspect entered a Chase Bank on 5th Avenue Saturday afternoon, where he approached a bank teller and verbally demanded money while banging on the window. The bank teller complied and the man fled the bank with an undetermined amount of money. The suspect is described as a black male, 40s, with curly hair, approximately 150 pounds, who was last seen wearing a dark jacket and a knitted hat.